Leave a comment on THIS post through Tuesday, September 25, 2018, to be entered in the DRAWING for a copy of the book below. If you mention in your comment that you’re a follower (see right sidebar to follow), I'll add your name a second time in the drawing. U.S. mailing address required to receive a paper book. I may or may not have read books offered for giveaways. The mention and giveaway of books on my blog do not in any way indicate any manner of my endorsement of said books. Read book giveaway details at Disclaimers. To help provide you security, please leave your email address like this: johnATyahooDOTcom. Winner announced in next Thursday's blog post. 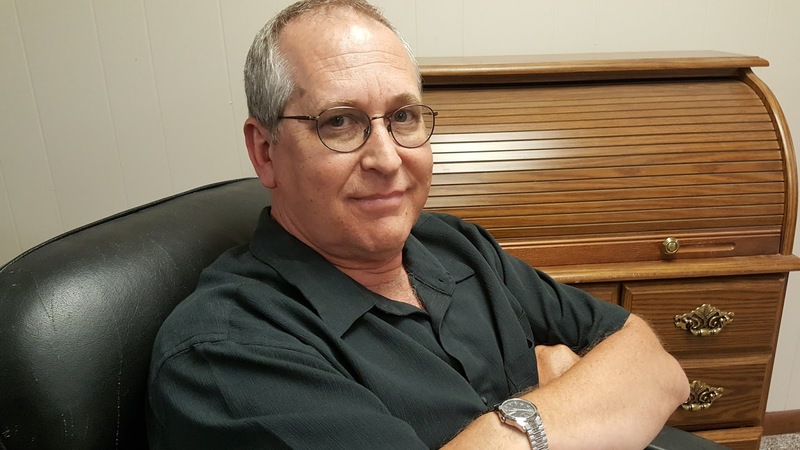 Larry W. Timm is a husband, father, preacher, and writer who loves creating stories with heart, soul, and high doses of adrenaline. Welcome, Larry. What takeaway value do you hope your readers receive after reading your book? I hope that a reader will walk away with a renewed appreciation for the fact that life is not only one of God’s most sacred gifts, but also one of the most fragile. I’ve always been enthralled with the power of story to illustrate important truths in an entertaining and engaging way. It seems that story has always been an effective way to introduce or nurture our understanding of basic truths. If we think about it, I think we can all look back and realize that stories (fictional or non-fictional) have long been one of the vehicles for imparting foundational lessons in every stage of our lives. Even our Lord Jesus used the power of story to grab listeners by both sides of their brains and shine light on truth. Vacation: Beach or Mountains? How about a mountain with a view of the beach? Okay, if I had to choose one, I’d have to say that I’m in the beach phase of my life now. Y’all or You Guys? Seriously, I say both. I was born down south but raised in the Midwest. I probably say, “You Guys” more often. Biscuits or Dinner Roll? I love both! You’re killin’ me here! Okay…I’ll go with…Dinner roll. Spring, summer, winter, or fall? Um…Yes? Uh, if I have to choose one, I’d choose Spring. Please tell us a little about your novel, Murder for Emily’s Sake. On a moonlit night in Wichita, Kansas, a tormented father stands by the grave of his teenage daughter, Emily, and makes a chilling vow to avenge her death. Once he gets his hands on the three women he holds responsible for his daughter’s death, they will regret the day they met Emily outside the abortion clinic. He will expose a dark secret. He will bury them, as he buried Emily. Bury them alive. And after their caskets are in the ground, they will die…for Emily’s sake. Where can readers purchase Murder for Emily’s Sake? I have a question for anyone who has read Murder for Emily’s Sake, and a question for those who haven’t, but who like to read suspense. For those who have read Murder for Emily’s Sake: Who was your favorite character, and why? For suspense readers: Other than suspense, what is the most important part of a suspense novel to you? Larry, thanks for visiting with my readers and me. 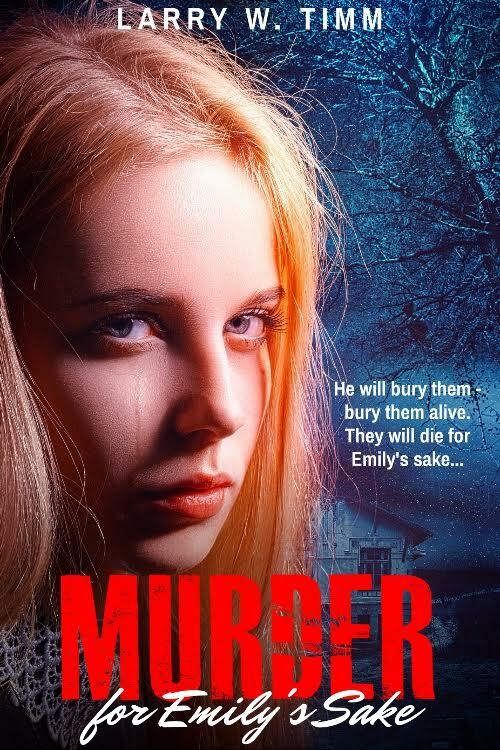 Larry is offering a print copy of Murder for Emily’s Sake to one commenter to this blog post. Commenters, to enter the book drawing please leave your comment on this post through September 25, 2018, and remember to leave your email address so I can contact you if you’re the winner. 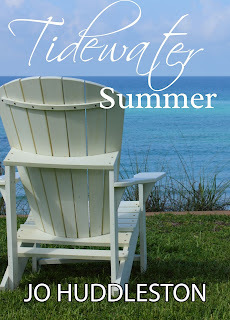 The winner of last Thursday’s blog post for a copy of The Ember Series by Carrie Daws is Nancy. I’ll email you. Thanks all for commenting. Watch for more book giveaways. LOL, the suspense...of course. I like having a little edge-of-the-seat kind of tension to keep my interest high in the book. I know what you mean about the questions...mountains w/ a beach view works! And I probably say you guys more than either of the others. Thank you for sharing. Looking forward to reading your work. The best part of a suspenseful book is a good plot line, I like to try to figure out who the bad guys are or what their motive is. The most important part of a suspense book to me is the story leading right up to finding out if "the butler did it". I haven't read this book yet, but would like to do so. Murder for Emily's Sake sounds like a sad story with a grieving father seeking revenge which i would like to read.